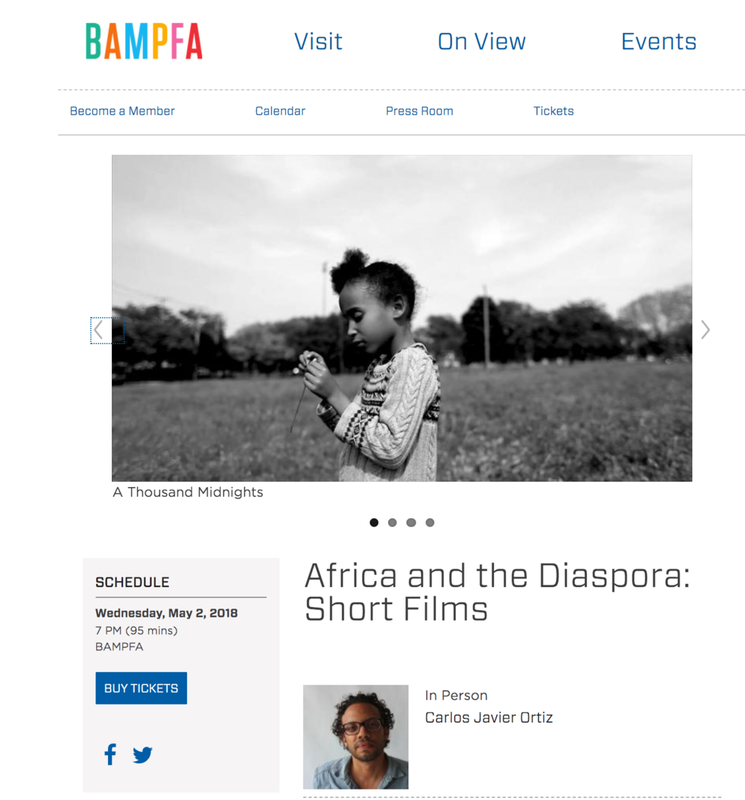 Program mingles short African fiction films with documentary essays from the diaspora. Rich with the sights of Dakar, Marabout trails a police detective investigating street children, while in Senegal’s north two young cinephiles try to get into their local cinema in Samedi Cinema. In Twaaga, two brothers find that comic-book fantasies have real-life equivalents in revolution-torn 1987 Burkina Faso. Using one family’s poetic recollections, Carlos Javier Ortiz crafts a moving testament to the travels and travails of the Great Migration in A Thousand Midnights, while his We All We Got shows that black history—and the fight for change—is never in the past; it is now. Jojolo, an archival rediscovery from 1966, lyrically portrays a Haitian woman’s shift from Paris’s Right Bank to its Left.